This week Lisa and I are visiting her 90-year-old mother in Montréal. Friday I’m giving a talk at the Université du Québec à Montréal. The main person I know there is André Joyal, an expert on category theory and algebraic topology. So, I decided to give a talk explaining how some ideas from these supposedly ‘pure’ branches of math show up in biology. My talk is called ‘Operads and the Tree of Life’. We can also draw the various ways of composing these operations. Composing them is just like building a big tree out of little trees! An operation with n inputs and one output is called an n-ary operation. In the late 1960s, various mathematicians including Boardmann and Vogt realized that spaces with tons of n-ary operations were crucial to algebraic topology. To handle all these operations, Peter May invented the concept of an operad. This formalizes the way operations can be drawn as trees. By now operads are a standard tool, not just in topology, but also in algebraic geometry, string theory and many other subjects. But how do operads show up in biology? When attending a talk by Susan Holmes on phylogenetic trees, I noticed that her work on phylogenetic trees was closely related to a certain operad. And when I discussed her work here, James Griffin pointed out that this operad can be built using a slight variant of a famous construction due to Boardman and Vogt: their so-called ‘W construction’! I liked the idea that trees and operads in topology might be related to phylogenetic trees. And thinking further, I found that the relation was real, and far from a coincidence. In fact, phylogenetic trees can be seen as operations in a certain operad… and this operad is closely related to the way computational biologists model DNA evolution as a branching sort of random walk. That’s what I’d like to explain now. I’ll be a bit sketchy, because I’d rather get across the basic ideas than the technicalities. I could even be wrong about some fine points, and I’d be glad to talk about those in the comments. But the overall picture is solid. First, let’s ponder the mathematical structure of a phylogenetic tree. First, it’s a tree: a connected graph with no circuits. 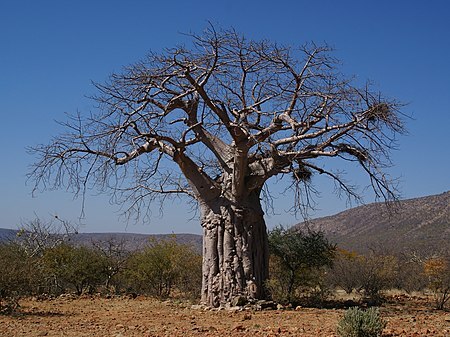 Second, it’s a rooted tree, meaning it has one vertex which is designated the root. And third, the leaves are labelled. I should explain the third part! For any rooted tree, the vertices with just one edge coming out of them are called leaves. If the root is drawn at the bottom of the tree, the leaves are usually drawn at the top. In biology, the leaves are labelled by names of species: these labels matter. In mathematics, we can label the leaves by numbers where is the number of leaves. Summarizing all this, we can say a phylogenetic tree should at least be a leaf-labelled rooted tree. That’s not all there is to it. But first, a comment. When you see a phylogenetic tree drawn by a biologist, it’ll pretty much always a binary tree, meaning that as we move up any edge, away from the root, it either branches into two new edges or ends in a leaf. The reason is that while species often split into two as they evolve, it is less likely for a species to split into three or more new species all at once. So, the phylogenetic trees we see in biology are usually leaf-labeled rooted binary trees. However, we often want to guess such a tree from some data. In this game, trees that aren’t binary become important too! Why? Well, here another fact comes into play. 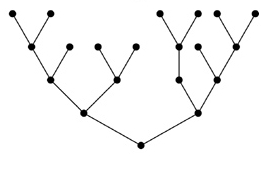 In a phylogenetic tree, typically each edge can be labeled with a number saying how much evolution occurred along that edge. But as this number goes to zero, we get a tree that’s not binary anymore. So, we think of non-binary trees as conceptually useful ‘borderline cases’ between binary trees. Definition A phylogenetic tree is a leaf-labeled rooted tree where each edge not touching a leaf is labeled by a positive real number called its length. By the way, I’m not claiming that biologists actually use this definition. I’ll write for the set of phylogenetic trees with leaves. This becomes a topological space in a fairly obvious way, where we can trace out a continuous path by continuously varying the edge lengths of a tree. But when some edge lengths approach zero, our graph converges to one where the vertices at ends of these edges ‘fuse into one’, leaving us with a graph with fewer vertices. These trees are upside-down, but don’t worry about that. You can imagine this path as a process where biologists slowly change their minds about a phylogenetic tree as new data dribbles in. As they change their minds, the tree changes shape in a continuous way. • Louis Billera, Susan Holmes and Karen Vogtmann, Geometry of the space of phylogenetic trees, Advances in Applied Mathematics 27 (2001), 733-767. If you don’t know what an operad is, I’d better tell you now. They come in different flavors, and technically I’ll be using ‘symmetric topological operads’. But instead of giving the full definition, which you can find on the nLab, I think it’s better if I sketch some of the key points. Of course, this also looks like a tree. Now, these pictures look a lot like trees. So it shouldn’t come as a shock that phylogenetic trees are the operations of some operad But let’s sketch why it’s true. First, we can permute the ‘inputs’—meaning the labels on the leaves—of any phylogenetic tree and get a new phylogenetic tree. This is obvious. 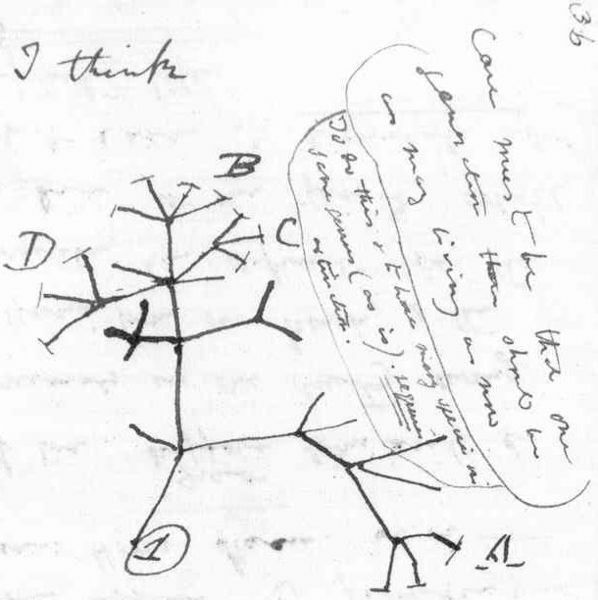 Second, and more importantly, we can ‘compose’ phylogenetic trees. How do we do this? Simple: we glue the roots of a bunch of phylogenetic trees to the leaves of another and get a new one! Third and finally, all the operad laws hold. Since these laws all look obvious when you draw them using pictures, this is really easy to show. But in biology, we think of a phylogenetic tree as having one input and n outputs. We start with one species (or other grouping of organisms) at the bottom of the tree, let it evolve and branch, and wind up with n of them! In other words, operad theorists read a tree from top to bottom, while biologists read it from bottom to top. Luckily, this isn’t a serious problem. Mathematicians often use a formal trick where they take an operation with n inputs and one output and think of it as having one input and n outputs. They use the prefix ‘co-‘ to indicate this formal trick. So, we could say that phylogenetic trees stand for ‘co-operations’ rather than operations. Soon this trick will come in handy. But not just yet! 2) all edges except those touching the leaves are labelled by numbers in . 2) we use arbitrary nonnegative numbers to label edges, instead of numbers in . The second point is a real difference, but it doesn’t matter much: if Boardman and Vogt had used nonnegative numbers instead of numbers in to label edges in the W construction, it would have worked just as well. Technically, they’d get a ‘weakly equivalent’ operad. The first point is not a real difference. You see, there’s an operad called which has exactly one operation of each arity. So, labelling vertices by operations of is a completely trivial process. Theorem 2. The phylogenetic operad is weakly equivalent to . If you’re not an expert on operads (such a person is called an ‘operadchik’), you may be wondering what stands for. The point is that operads have ‘algebras’, where the abstract operations of the operad are realized as actual operations on some topological space. And the algebras of are precisely commutative topological monoids: that is, topological spaces equipped with a commutative associative product! 1) What does it mean that phylogenetic trees are the operations of some operad ? Why should we care? 2) What does it mean to apply the W construction to the operad ? What’s the significance of doing this? 3) What does it mean that is weakly equivalent to ? You can see the definition of weak equivalence here, but it’s pretty technical, so it needs some explanation. The answers to questions 2) and 3) take us quickly into fairly deep waters of category theory and algebraic topology—deep, that is, if you’ve never tried to navigate them. However, these waters are well-trawled by numerous experts, and I have little to say about questions 2) and 3) that they don’t already know. So given how long this talk already is, I’ll instead try to answer question 1). This is where some ideas from biology come into play. Theorem 3. Given any continuous-time Markov process on a finite set , the vector space whose basis is naturally becomes a coalgebra of the phylogenetic operad. Impressive, eh? But this theorem is really just saying that biologists are already secretly using the phylogenetic operad. Biologists who try to infer phylogenetic trees from present-day genetic data often use simple models where the genotype of each species follows a ‘random walk’. Also, species branch in two at various times. These models are called Markov models. genotypes of this length. That’s a lot! 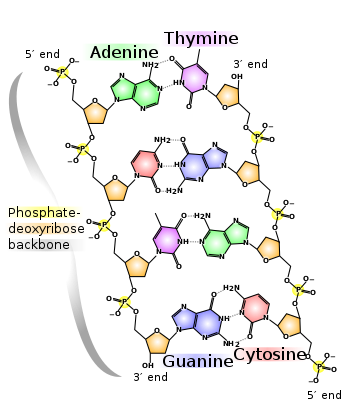 As time passes, the Jukes–Cantor model says that the human genome randomly walks through this enormous set of possibilities, with each base pair having the same rate of randomly flipping to any other base pair. Biologists have studied many ways to make this model more realistic in many ways, but in a Markov model of DNA evolution we’ll typically have some finite set of possible genotypes, together with some random walk on this set. But the term ‘random walk’ is a bit imprecise: what I really mean is a ‘continuous-time Markov process’. So let me define that. 1) depends continuously on . 2) For all s, t we have . 3) is the identity matrix. All these properties make a lot of sense if you think a bit, though condition 2) says that the random walk does not change character with the passage of time, which would be false given external events like, say, ice ages. As far as math jargon goes, conditions 1)-3) say that is a continuous one-parameter semigroup, while condition 4) together with the fact that says that at each time, is a stochastic matrix. Let be the vector space whose basis is . To avoid getting confused, let’s write for the basis vector corresponding to . Any probability distribution on gives a vector in . Why? Because it gives a probability for each , and we can think of these as the components of a vector . So, if we start with some probability distribution of genotypes, and let them evolve for a time according to our continuous-time Markov process, by the end the probability distribution will be . But species do more than evolve this way: they also branch! 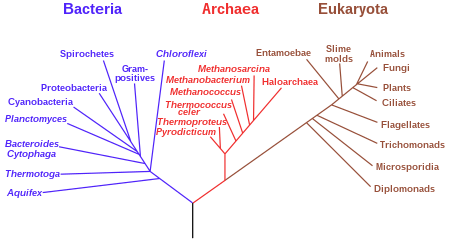 A phylogenetic tree describes a way for species to evolve and branch. So, you might hope that any phylogenetic tree gives a ‘co-operation’ that takes one probability distribution as input and returns n probability distributions as output. In fact, these operators obey just the right axioms to make into what’s called a ‘coalgebra’ of the phylogenetic operad. But to see this—that is, to prove Theorem 3—it helps to use a bit more operad technology. I haven’t even defined coalgebras of operads yet. And I don’t think I’ll bother. Why not? Well, while the proof of Theorem 3 is fundamentally trivial, it’s sufficiently sophisticated that only operadchiks would enjoy it without a lengthy warmup. And you’re probably getting tired by now. Some of the beautiful structures used in algebraic topology are also lurking in biology. These structures may or may not be useful in biology… but we’ll never know if we don’t notice them and say what they are! So, it makes sense for mathematicians to spend some time looking for them. Theorem 4. Suppose is an object in some symmetric monoidal topological category . Suppose that is equipped with an action of the additive monoid . Suppose also that is a cocommutative coalgebra. Then naturally becomes a coalgebra of the phylogenetic operad. These correspond to species splitting in two and species going extinct, respectively. (Biologists trying to infer phylogenetic trees often ignore extinction, but it’s mathematically and biologically natural to include it.) So, all the requirements are met to apply Theorem 4 and make into coalgebra of the phylogenetic operad. Theorem 5. The phylogenetic operad is the coproduct of the operad and the additive monoid , viewed as an operad with only 1-ary operations. Given how coproducts works, this means that an algebra of both and is automatically an algebra of . In other words, any commutative algebra with an action of is an algebra of . Dualizing, it follows that any cocommutative coalgebra with an action of is an coalgebra of And that’s Theorem 4! • Tom Leinster, Coproducts of operads, and the W-construction, 14 September 2000. He gives an explicit description of the coproduct of an operad and a monoid, viewed as an operad with only unary operations. He works with non-symmetric, non-topological operads, but his ideas also work for symmetric, topological ones. Applying his ideas to the coproduct of and , we see that we get the phylogenetic operad! And so, phylogenetic trees turn out to be related to coproducts of operads. Who’d have thought it? But we really don’t have as many fundamentally different ideas as you might think: it’s hard to have new ideas. So if you see biologists and algebraic topologists both drawing pictures of trees, you should expect that they’re related. This entry was posted on Wednesday, July 6th, 2011 at 6:20 pm and is filed under biology, mathematics, networks. You can follow any responses to this entry through the RSS 2.0 feed. You can leave a response, or trackback from your own site. Wow John, It’s me Jake, from CQT, I’m in Waterloo Ontario right now — I thought for a second you got on a plane to track me to down to get back to work on those rabbit pictures. I’ll be back in Singapore in a month. Don’t forget about me. * In classical switching function theory, operads are called read-once formula. These are precisely the class of switching functions built from gate sets with no fan-in — that is, the gate set can be composed only to build a tree. * In quantum network theory, they correspond to MERA networks, that can be contracted efficiently. Each of the three leg tensors (in this case) is an isomentry. 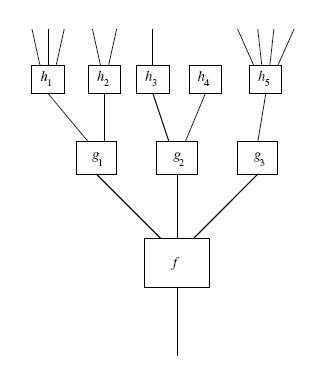 To measure anything in quantum mechanics you take an inner product, when you take an inner product, you contract a state (here represented as a tree) with a conjugated copy of itself. Each of the three legged tensors will vanish when contracted to its isometric pair. This means the network can be contracted, and hence values can be measured efficiently. * And from this, we can conclude that read-once formula are necessarily satisfiable. That means they correspond to constraint equations that can be satisfied. This is a bit off topic, but every time I hear about operads I think about these cases. cheers! You may think I’ve been slacking off on our network theory project. It’s sort of true. But I claim that this operad stuff is just another aspect of that project. As usual, I’m taking ideas from quantum theory and adapting them to stochastic processes. Amplitudes become probabilities, unitary matrices become stochastic matrices, becomes , and so on. Even the Fock space idea shows up, though I didn’t make that explicit here. These correspond to ‘speciation’ (where a species splits in two) and ‘extinction’. I haven’t completely figured out how this new stuff is connected to stochastic Petri nets, but it’s clearly part of the same story. This may seem a bit nit-picky when you’re obviously more concerned with the big picture, but I’m confused so I’ll go ahead and ask and hope you’ll indulge me in what are probably stupid questions. See, I had to deal with C0-semigroups pretty extensively in a past life, but I was never fortunate enough to have ones that were either Markov or acting on a finite dimensional space, so I’m struggling a bit with your condition 4 above, namely, for all j and t, where is defined to be the probability of being at j if you started at i at t=0. If I try to put this into words, I get something like: “If you find yourself at j at time t, then you must have come from from some i at time 0, and this is true for all j.” Is that a fair summary? I’m struggling a bit with your condition 4 above, namely, for all j and t, where is defined to be the probability of being at j if you started at i at . Whoops—you caught a typo. I switched around an i and a j here. Actually for me is defined to be the probability of being at i if you started at j at . Some other people may use the opposite convention—this might add to your confusion. Does this condition follow from the other in some way? No, these conditions are independent. People like to talk about left stochastic matrices, which are matrices of nonnegative numbers where the columns sum to 1, and also right stochastic matrices, which are matrices of nonnegative numbers where the rows sum to 1. One of these describes random processes where starting at any point you have a total probability 1 of going to some point or other. The other describes random processes where ending at any point you have a total probability 1 of coming from some point or other. However, which is which depends on a convention, namely whether you multiply column vectors by matrices on the left, or row vectors by matrices on the right. In this talk I’m interested in processes where starting at any point you have a total probability 1 of going to some point or other. And, I’m multiplying column vectors by matrices on the left. So, for all I care, there could be genotypes that our random walk will never get to—that’s okay. But every genotype has to go somewhere as it randomly walks around. A matrix that’s both left and right stochastic is called ‘doubly stochastic’. Thanks for the enlightening discussion about operads and their applications to phylogenetic trees. I see several theorems about the correspondence between operads and phylogenetic trees, but I would really be interested in how the correspondence is used. I.e., is there a theorem that is stated only in terms of general operads, which we can pull through the correspondence, to get a theorem stated only in terms of phylogenetic trees and Markov processes? You may be interested in the book Algebraic Statistics for Computational Biology and in particular in this review: “The Mathematics of Phylogenomics”. I would really be interested in how the correspondence is used. Me too! But I just made it up; I haven’t used it for anything. I.e., is there a theorem that is stated only in terms of general operads, which we can pull through the correspondence, to get a theorem stated only in terms of phylogenetic trees and Markov processes? I don’t know yet—I haven’t gotten that far. Basically what happened is that I listened to Susan Holmes talk about the geometry of the space of n-leaved phylogenetic trees, and realized that these spaces form an operad. It seemed awfully familiar from my studies of algebraic topology. Then James Griffin and Tom Leinster figured out exactly how an algebraic topologist, or operad theorist, would think about this operad. Operads have ‘algebras’, so I then started wondering what the algebras of this operad were. I soon realized that the coalgebras of this operad were the branching Markov processes beloved by computational biologists working on phylogenetic trees! And that’s where I am now. In short, so far I’ve noticed that computational biologists are using some quite interesting operads without knowing it. I don’t know yet if it will help them to know it! But I think these connections are always worth noting. If X is an example of a Y, I think it’s always worth pointing it out, unless it’s so obvious it doesn’t need pointing out. These connections have a tendency to pay off, sometimes in unexpected ways. It’s possible that operad theory could turn out to be useful in studying phylogenetic trees. That would be great. But it’s also possible that work on phylogenetic trees could inspire new work on operads which then gets applied to something else, like algebraic geometry or string theory! That would be cool too. For people who don’t know operads, this stuff I’m talking about is probably not ‘ready for prime time’. But for people who do, it’ll be a shockingly practical example of an operad. Thanks! If I learn more about this subject and what problems people are struggling with, that’ll improve my chance of making useful connections. Do biologists have a way to pass between trees in the enormous, but simple, space of genotypes to phylogenetic trees? 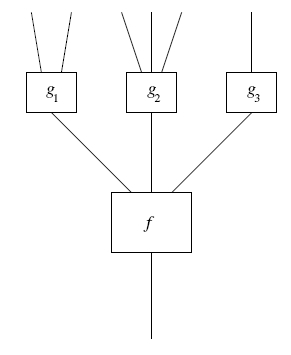 Markov processes for the former may involve enormous transition matrices, but at least one could use a simple rate of genetic mutation at each site. But then interpreting that model in terms of phenotypes, speciation, etc. can’t be easy. Do biologists have a way to pass between trees in the enormous, but simple, space of genotypes to phylogenetic trees? In most of what I’ve seen, they aren’t observing trees in the space of genotypes: they’re observing the genotypes at the leaves of those trees and trying to infer the rest of the tree. In other words, trying to guess the past given the present. There is a huge amount of work devoted to that. A bunch of it uses Markov process models combined with maximum likelihood or Bayesian methods to guess the best tree. They don’t usually use the whole genotype: just some parts of the DNA. There’s a lot of software for doing this kind of inference, like PhyML, FastML, RaxML and Mr. Bayes. And in most of the work I’ve seen, the tree that’s inferred is simply called the phylogenetic tree. One assumes the edges are taxonomically significant units (e.g. species) and the vertices are taxonomically significant branching events (e.g. speciation events). By the way, I said that mostly we observe DNA data now and try to infer the tree in the past, but one exception I know involves the HIV virus. This mutates fast enough, and has been studied carefully enough, that people have been able to watch it evolves as time passes. Viruses don’t have ‘species’ in the conventional sense of being able to interbreed, but there are medically significant branches forming in the phylogenetic tree as we watch. Another exception would involve situations where we have access to fossil DNA, like Neanderthal or woolly mammoth DNA. And by the way, the whole ‘tree’ concept is a simplification of reality. For example, humans and Neanderthals interbred, and among bacteria there’s a lot of ‘lateral transmission’ of genetic material via plasmids and the like. Did they do so on purpose? Hey, Carlo—it’s fun to see you here! I don’t know they made that tree looks similar on purpose. At first I was going to say that all trees look sort of similar, but I think you’re right, there’s something more than that going on here, either coincidentally or not. By the way, nobody except me can post images here, but if someone includes a link to an interesting image I can edit their comment to make it show up… and that’s what I just did. Of course I’m too lazy to do this very often. The talks were recorded. A lot of them are mathematical, and some are quite abstract, but I haven’t spotted anyone using operads yet. • K. St. John, Exploring treespace. Abstract: Phylogenies, or evolutionary histories, play a central role in modern biology, illustrating the interrelationships between species, and also aiding the prediction of structural, physiological, and biochemical properties. The reconstruction of the underlying evolutionary history from a set of morphological characters or biomolecular sequences is difficult since the optimality criteria favored by biologists are NP-hard, and the space of possible answers is huge. The number of possible phylogenetic trees for n taxa is (2n − 5)!!. Due to the hardness and the large number of possible answers, clever searching techniques and heuristics are used to estimate the underlying tree. We explore the underlying space of trees, under different metrics, in particular the nearest-neighbor-interchange (NNI), subtree-prune-and-regraft (SPR), tree-bisection-and-reconnection (TBR), and Robinson-Foulds (RF) distances. The trees here have no labellings on edges, so the metrics are metric on discrete sets… but still interesting! By the way, I said that mostly we observe DNA data now and try to infer the tree in the past, but one exception I know involves the HIV virus. This mutates fast enough, and has been studied carefully enough, that people have been able to watch it evolves as time passes. Interresting, do you have any documentations about that? I could imagine that something like an educational video could bring in handy all the mutations. • Andrew Rambaut,David Posada, Keith A. Crandall and Edward C.Holmes, The causes and consequences of HIV evolution. • Chris Lee, HIV positive selection mutation database. and this database allowed him to calculate in detail the effect of various drugs on HIV evolution. There’s a lot about the evolution of HIV in the opening chapter, or perhaps the introduction, of Steve Jones’s book Almost Like a Whale. (In the US it goes by the title of Darwin’s Ghost. It’s a retelling of the Origin of Species.) If you’re after a non-technical description, you might like that. Another virus that evolves very fast is influenza. That’s one of the things that makes vaccination difficult: the vaccines constantly have to be updated. Thanks for the references John and Tom. Yes and in the end the vaccine might be so poisonous that it kills the sick one instead of the flu. I think fears of vaccines are greatly overstated. I don’t know of anyone dying from a ‘poisonous vaccine’, though almost everything happens at least once. Excellent post – it must have been an excellent talk too! Thanks! But the talk is tomorrow, so while it may be predestined for excellence, I can’t be sure of that yet. 1) What are the mathematical definitions and consequences … This is what you are thinking. Actually I was thinking about the mathematical meaning, which is not always easily apparent, even if one has seen the definitions and theorems. I distinguish between being able to state results and having them fully integrated into ones way of thinking. Only the latter lets one make significant progress. it takes a nontrivial change of worldview to appreciate why the W construction and weak equivalence are important and inevitable notions. They’re both aspects of the ‘homotopification’ of mathematics, where instead of demanding that equations hold, one demands that equations hold ‘up to coherent homotopy’. Operad theorists have a lot to say about what this means and why it’s important. But yes, then there’s another layer: what does all this have to with biology? I doubt anyone knows. While true, it seems to me that the whole point you would like to make is that Phyl is actually isomorphic to W(Comm) (degreewise homeomorphic). Hmm, I guess you’re right. Let me make sure I understand. Is every topological operad whose space of -ary operations is contractible weakly equivalent to the terminal topological operad? The action of on the space of -ary operations is irrelevant here? I’m afraid something slightly weaker is true. The lengths of edges in the trees that give operations of W(Comm) are positive real numbers less than or equal to 1, while for Phyl they are positive real numbers. Since (0,1] isn’t homeomorphic to (0,∞), I’m afraid Phyl isn’t degreewise homeomorphic to W(Comm). They’re “almost homeomorphic” in some way that’s hard for me to state clearly. As spaces, is some sort of compactification of . Is every topological operad whose space of n-ary operations is contractible weakly equivalent to the terminal topological operad? Yes. There is necessarily a unique morphism to Comm and this is by assumption then a degreewise a weak homotopy equivalence of topological spaces. By this theorem these are weak equivalences of topological operads. The action of on the space of n-ary operations is irrelevant here? The action needs to be respected by the morphism of course, but for morphisms to Comm this is automatic. But given a morphism, its property of being a weak equivalence is just that it is degreewise a weak homotopy equivalence of topological spaces. Notice that every topological operad which is 1. degreewise contractible and 2. “Sigma cofibrant” (has free permutation group action) is an operad. Oh, okay. Right, so it slightly fails to be isomorphic to W(Comm) then. But not in a very interesting way. As you say in the second message: you could just add as an admissible tree length, if you wanted to “fix” this. As you say in the second message: you could just add as an admissible edge length, if you wanted to “fix” this. When it comes to biology, adding as an admissible edge length for phylogenetic trees amounts to requiring that our Markov process settles down to some limit as . More precisely: an algebra of the phylogenetic operad extends to an algebra of the larger operad that allows infinite edge lengths iff exists for all , where is the corresponding Markov process. The second one has the small advantage of being obviously associative, but the first is also associative (I just checked! ), and it seems to have a bigger advantage, as far as I’m concerned. Namely, I believe (but haven’t bothered to check) that the operation makes isomorphic, as a topological monoid, to with its usual addition (defined so that ). If so, we can embed with its usual addition as a dense submonoid of with the operation. And if so, this should make the phylogenetic operad into a dense suboperad of where the inclusion is a homotopy equivalence. That’s a fairly crisp statement of how they’re ‘almost isomorphic’. And of course even if Boardman and Vogt’s way of making the closed interval into a topological monoid doesn’t make it isomorphic to with its usual addition, such a way exists. where . So is a homomorphism from on to ordinary multiplication on . And under multiplication is isomorphic to under addition via . So, you were right. My talk seemed to go well. Afterwards, André Joyal made some interesting remarks. I’d like to write them down here so I don’t forget them. First, a nice simple observation. He said that the phylogenetic operad formalizes a notion of time, ‘branching time’, which marches forward like the usual notion of time (described by the real numbers) except for certain points where it splits. A species can split in two and evolve in two different ways. We wondered in what other situations the concept of ‘branching time’ could apply. An obvious candidate is the branching scenario in some versions of the ‘many-worlds interpretation’ of quantum mechanics, but I don’t know how to make this precise. More technically, we talked about how the phylogenetic operad is related to Boardman and Vogt’s W construction. If we take this gives the edges nonnegative real ‘lengths’. But we can also take . Then the edges have integral lengths. We can draw this by marking each edge with a number of ‘ticks’: little marks representing the ticks of a clock. The operad is interesting because it’s the operad freely generated by the operad and an extra unary operation. Let’s call this unary operation In his book on algebraic set theory with Moerdijk, Joyal considered the monad generated by a monad and extra unary operation. This idea was previously studied by Bénabou and Jibladze. Moving in this circle of ideas, we saw that the operad contains a copy of but also two copies of the free operad on the underlying collection of operations of . generate a copy of the free operad on the underlying collection of operations of . The ticks serve as ‘parentheses’ separating the operations of . generate a second copy of the free operad on the underlying collection of operations of . The same trick works for , taking our ‘tick’ to be any positive number. I believe Boardman and Vogt use this trick in their book. Of course they talk about instead of the isomorphic monoid , but that doesn’t matter. What matters is that they’re sandwiching the operations in with an idempotent unary operation that’s not in . We need to do this to have a chance for to be a cofibrant replacement of $O$. All this is true except that the element 1 in the monoid (corresponding to the element in ) does play a special role in the Boardman–Vogt construction, by virtue of being a nontrivial idempotent. John, the stuff you’re doing prompted me to make a pdf version of my note available, since most people (including me) prefer pdf to ps these days. It’s here: http://www.maths.ed.ac.uk/~tl/w.pdf. I don’t have any suggestions for what the W-construction and weak equivalence have to do with biology, but it seems clear that the reason coproducts of operads appear is that you’re considering the process of evolution of each species, and the process of branching of species, to be totally unrelated. Right? Something seems a little weird, though: the behavior of evolution of a single species is controlled by the Markov process, but the behavor of branching of species is controlled by the operad. In other words, we choose a particular n-ary (co)operation in the phylogenetic operad which specifies all of the species branching that is to occur, with specified time periods in between branching events, and then the corresponding coaction morphism specifies a probability distribution over the genotypes of the resulting n species. Wouldn’t it be more realistic to also assign probabilities to the different kinds of branching that could occur? Right. And here “you” means not just little old me, but also biologists who are trying to infer phylogenetic trees from data about the DNA of various species we see today. They do things like this: fix a Markov process and then seek the phylogenetic tree (in the sense I’ve defined here) and the genotype for the species at the root of this tree that maximize the likelihood that the species at the leaves have the genotypes we see today. Wouldn’t it be more realistic to also assign probabilities to the different kinds of branching that could occur? If we were trying to simulate evolution including the branching of species, we might try that. That could be a lot of fun. For the applications described above, I don’t think it would be very practical. It might be practical if we had a good guess as to the probability per unit time that an organism with a given genotype would branch into two species. But since we don’t, we’d probably be forced into a very simple dumb guess, namely that the probability is some constant. And this, I believe, would not affect the results of the above sort of calculation. Actually biologists do assume a probability distribution on the branching patterns, and the choice can affect the results. You are right that little is known about speciation rates and extinction rates, so guesses have to be made. In a Bayesian context, the distribution can be seen as part of the prior. You hope that the molecular data will overwhelm the prior, but if the signal in the data is weak, it may not. I’m guessing that some people are already trying that too. But I was having a bit of fun trying to think about how to “mix up” the two aspects operadically. Yes, people already do that too, and more. A lot of Bayesian methods can be characterised as “co-estimate everything”. The inference is like that for a HMM. The likelihood of the observed data at the leaves (the multiple sequence alignment, see http://en.wikipedia.org/wiki/Multiple_sequence_alignment) is calculated by working back recursively towards the root. I only have a hazy idea about operads, and here is a very hazy idea: Statistical inference often seems to work ‘backwards’, using co-operations where the model uses operations, or vice-versa. Actually biologists do assume a probability distribution on the branching patterns, and the choice can affect the results. You are right that little is known about speciation rates and extinction rates, so guesses have to be made. Thanks for the correction! I only know a little about phylogenomics, so it’s nice to know that when I say something wrong, there’s a chance you’ll appear and correct me. What branching patterns might be particularly likely and/or unlikely? Also, you mention ‘extinction rates’. One person told me that extinction events were completely ignored in the process of guessing a phylogenetic tree from present-day DNA data. In other words, that you can work only with trees whose branches all make it to the present, without any harm. I’ve been hoping to find some context in which this actually causes problems. Do you know about that? to show what I mean. This imbalance show up at every level down to trees with 4 leaves which is the smallest size that imbalance can occur. All the obvious mathematical models (eg a birth-death process assuming constant rates of birth and death) make more balanced trees than this. (http://en.wikipedia.org/wiki/Coalescent_theory) gives a useful model. Looking backward in time, the coalescences happen very quickly, then slow down. For a gene sampled from say 10 individuals, and assuming a constant population size, the expected time for the first coalescence is proportional to 1/(10*9), the additional time to the next coalescence is proportional to 1/(9*8), and so on down the the last pair to meet with expected time proportional to 1/(2*1). Looking forwards in time, this gives a tree that grows faster then exponential. It can cause problems if you want to estimate dates. For example, there are 22 Crocodylla (crocodiles, alligators and gharials), and they separated from the rest of the tree of life a very long time ago (lets say 100My for the sake of argument). If you assumed there were no extinctions, you would estimate the time of the most recent common ancestor of extant Crocodylla (that is, the time of the first speciation in the phylogenetic tree for Crocodylla ) to be a very long time ago as well. Unlike the coalescence case, the expected times go like 1/21, 1/20, … 1/2, 1/1 going back in time, so – very roughly – you might estimate this time as 1/(1+1/2+…1/21) = 1/3.64 = .27 of 100My since the ancestor species separated from the rest of the tree of life, that is 73My ago. More realistically, there will have been many extinctions and quite likely there were once many more than 22 in this group. In this case, it could easily be that the most recent common ancestor of extant Crocodylla is very recent. It also causes problems if you know some dates from fossils and want to estimate speciation and extinction rates. This article might be a good place to start. “Estimating diversification rates from phylogenetic information”. By Ricklefs R E, Trends Ecol Evol. 2007. Finally, ‘phylogenetics’ means estimating trees from genes and ‘phylogenomics’ means estimating trees from whole genomes. Thanks for all that, Graham! As you noticed, I don’t even know the difference between phylogenetics and phylogenomics. Well, I do now. But I have a lot of catching up to do. I work on the fundamental problem of comparative genomics: the determination of the origins and evolutionary history of the nucleotides in all extant genomes. My work incorporates various aspects of genomics, including the reconstruction of ancestral genomes (paleogenomics), the modeling of genome dynamics (phylogenomics and systems biology) and the assignment of function to genome elements (functional genomics and epigenomics). In addition to working on algorithms and mathematical foundations for comparative genomics, I also work on genome projects and perform large scale computational analyses. I have been a member of the mouse, rat, chicken and fly genome sequencing consortia, and the ENCODE project. My research draws on tools from discrete mathematics, algebra and statistics. I am also interested in questions in these subjects that are motivated by biology problems. 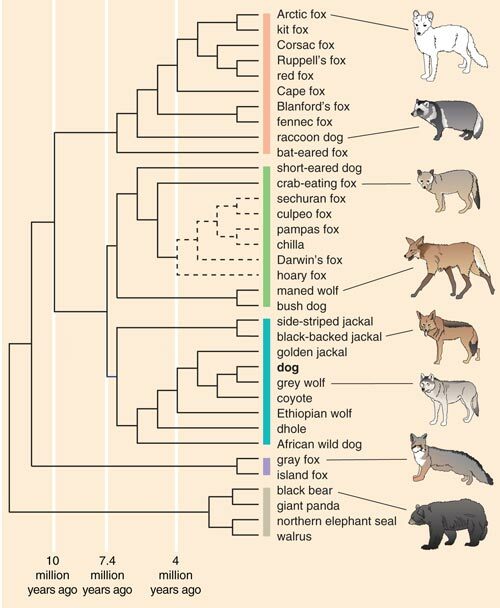 Thanks to budget cuts, the website with the canid phylogenetic tree is no longer available. The Internet Archive managed to grab a copy, however. You may want to update your post. Wow, I’m surprised you caught that now—this is a pretty old post! I’ve replaced the phylogenetic tree of doggies with a different one I happen to have. • John Baez, Operads and the tree of life, 6 July 2011. In trying to the make the ideas precise I recruited the help of Nina Otter, who was then a graduate student at ETH Zürich, and who is now a grad student at Oxford working on mathematical biology with Heather Harrington. • John Baez and Nina Otter, Operads and phylogenetic trees.